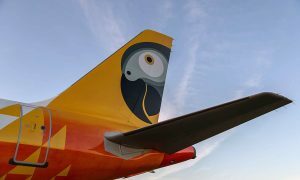 fastjet, the low-cost pan-African airline, has announced that it will commence daily flights to Zanzibar from Johannesburg on 11 January 2016 in response to strong passenger and tour operator demand from within the South African market. Services between Johannesburg’s O.R. 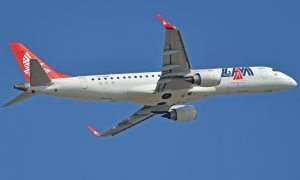 Tambo International Airport and Zanzibar’s Abeid Amani Karume International Airport will operate using fastjet’s modern Airbus A319 jet aircraft with seating for up to 156 passengers. Flights will depart Zanzibar at 09h30 and land in Johannesburg at 13h20, with the return flight from Johannesburg departing at 14h10 and landing in Zanzibar at 19h40 (all local times). The direct flights in both directions will involve a short 30 minute stopover in Dar es Salaam, but Zanzibar/Johannesburg passengers will not need to disembark the aircraft and all luggage will be checked directly through to its final destination. Previously, fastjet partnered with Dar es Salaam based Coastal Aviation, to fly passengers to Zanzibar, but flights were restricted to daylight flights, and involved transfers and luggage collection on the ground in Dar es Salaam.